If you have friends who know a little about magic performance, tell them that the British magician Gazzo is coming to Moisture Festival. I can then be silent and let them persuade you to take this opportunity to see a master at work. 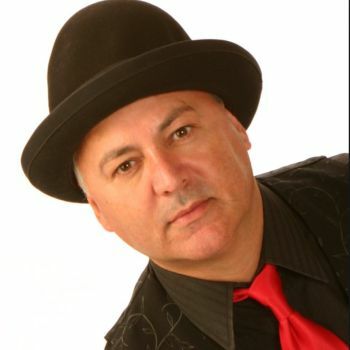 David Blaine said: “Gazzo is an incredible performer and a great influence on modern magic.” Onstage, Raymond Teller is the silent partner of the Vegas headlining duo Penn and Teller, offstage, he had this to say: “When you see Gazzo you feel like you’re watching a showbiz legend.” When Gazzo appeared on Penn and Teller’s television show and did his version of the Cups and Balls, Penn Gillette, with pure admiration, told the audience: “Literally the oldest trick in magic … done perfectly! That’s what you just saw.” and then he went on to say to Gazzo: “In all art, in all performance, it is the singer, not the song. You are the best singer we’ve ever seen.” Need I say more? Gazzo is coming to the Moisture Festival again and we are thrilled.